Cancer is not something any child, teenager or adult should ever have to face. 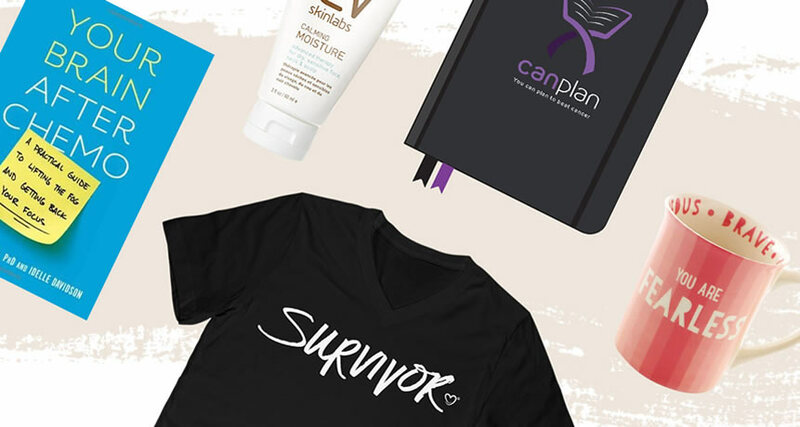 Being diagnosed with cancer during pivotal teenage years can drastically impact your life. That's what it did to mine. I was diagnosed with osteosarcoma at 14 years old, which is a tricky age to begin with. I was no longer seen as a little child that needed help with everyday life, but not yet seen as an adult, and therefore not considered mature enough to make life-altering decisions. I was in the hospital 24/7 for 10 weeks, and then had surgery to remove the tumour. Unfortunately, the surgery revealed that only 10% of the cancer had been killed, so an additional 30 weeks of chemo was required. For more than 11 months, I took endless trips to the Royal Children’s Hospital. Day in, day out. It was not an adult hospital, but I still felt like I didn’t belong there. I was not a small child, I was a teenager. I'd walk past the halls of the cancer ward and see the play room solely dedicated for children. But alas, I was no longer a child who got enjoyment from playing with toys. So, where did I fit? I was too old to be with kids but too young to be with adults. Cancer already makes you feel different and marginalised. When you add in a massive age gap, it makes you feel like you don’t belong anywhere at all. Throughout my experience talking about cancer, there are not many stories about teenagers in children’s hospitals that get highlighted. That’s why I am writing this, to say: "I'm here too!" I wanted to be around other teenagers, like me. But no one knew where to put us, and quite frankly no one cared if we were next to a crying child or a new born baby. Don't get me wrong, I felt lucky to get a bed at all. But I just wanted to be around people my own age. Plus, it was so hard watching toddlers and newborn babies die from this terrible disease. They didn’t get to live past their young years and experience the joys of going to school, making friends and just being a kid. Watching anyone die from cancer is hard, but I know 38 children who have passed. That is heartbreaking. I believe it is my legacy to speak for these kids and teenagers who no longer can, so that we can make an impact on how cancer is treated. It’s important to have a middle ground where young adults can go and be themselves in a non-judgmental environment, where we are not treated like children and not treated like adults. The only way we can close this age gap is by creating a safe-haven for young adults to be themselves. That is why I am now an advocate for You Can, a youth cancer organisation for 16-30 year-olds going through cancer. I began speaking about my cancer experience to people in my local community, often being asked to visit my local paediatrics ward to speak with adolescents and parents that had children with cancer. From there my oncologist Lisa encouraged me to apply to be on the Youth Cancer Advisory Board in Victoria/Tasmania. Funnily enough, I became a member and that’s where my connections with other adolescents and You Can began, at that time I was 18 and my cancer journey began at 14. Being on the advisory board we had a say in how the You Can centre was going to look in the Peter MacCallum Cancer Institute. The first moment I stepped into the You Can centre I automatically felt safe. I felt safe from judgement, reality and life quite frankly. It is a place where I can be who I want to be, relax and watch TV, or play video games. The You Can Centre allows me to stop thinking about my cancer and to enjoy and appreciate the smaller things that make my life so great. The You Can Centre is a space of solace, where us cancer patients can speak openly about our illness and not feel the shame or judgment that often becomes attached to it. It is a place that has and will continue to change every adolescent cancer patient’s life. It is so important to have someone to speak to and often in these times it can be hard or impossible to find others that truly understand. The You Can Centres and You Can Connect (online platform youcan.org.au that allows me the ability to support other young people with cancer all around the country) are a great testament to that. If anyone you know has been through or is going through cancer or is looking after someone who needs a little social support, please suggest You Can. I hope one day cancer is a thing of the past, but until then we need to support each other and invest in research, not only for cures, but also for improving outcomes for long-term health complications after these aggressive treatments. Would I like to see a You Can Centre in each major capital city in Australia? That would be a dream. If it could make living with cancer even slightly more bearable, it’s worth it. Trust me.